The Olympic Games got off to a good start for Denmark thanks to Jakob Fuglsang’s unexpected silver medal in the men’s road cycling on Saturday. On Sunday there was more Danish action as the men’s handball and football teams tasted success, as did Denmark’s darling on the tennis court, Caroline Wozniacki. Wozzy beat Lucie Hradecka in straight sets 6-2, 6-2 in the first round yesterday and faces another Czech in the second round, although the opposition will be tougher in the form of two-time Wimbledon winner Petra Kvitova. The men’s football team got their first goal and win of the games thanks to a 1-0 defeat of South Africa last night. Robert Skov got Denmark’s goal after 69 minutes and keeper Jeppe Højbjerg kept the Danes in the game with a string of saves. Denmark tops the group with four points after Brazil again disappointed with another goalless draw, this time against Iraq. But the Danes face the Neymar-led hosts in the final group game. 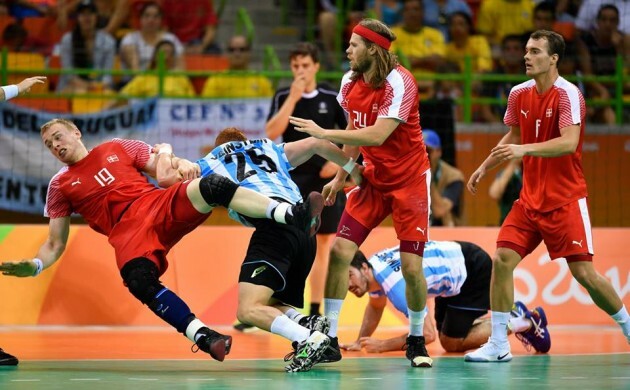 The men’s handball team got off to a good start by overcoming Argentina 25-19 despite starting off sluggishly. Mikkel Hansen and company were held 10-10 by the Argentinians at half-time, but pulled away in a strong second-half showing. It was a record night for the swimmers. US icon Michael Phelps won a Olympic-record 23rd medal, while Britain Adam Peaty and American Katie Ledceky both set world records, but for the Danes things were more subdued. Jeanette Ottesen finished 8th in the 100m butterfly final, while Rikke Møller Pedersen missed out on the final of the 100m breaststroke. Mie Ø Nielsen qualified for the final of the 100m backstroke by finishing second in her semi-final heat. Hefty winds in Rio kept all the Danish rowers out of action yesterday. In table tennis, Denmark’s top gun Jonathan Groth ran into a Chinese wall in world number one Ma Long in the third round, losing 4-0 in sets. It was the end of the line for another ‘Dane’, as the Copenhagen-based British fencer Laurence Halsted fell to Chen Haiwei of China in the last 32 of the men’s foil. He is next in action in the team event on Friday August 12.